But it is one of Korea’s best-kept secrets, as local webtoons -- visual stories that read from top to bottom instead of left to right for easy screen scrolling -- have struggled to spread globally for the past decade. Some local platforms such as Rolling Story and Lezhin are attempting to export Korean webtoons to the world stage. But Chang Kim, CEO of Tapas Media, believes the comics are too nuanced to be translated successfully and welcomed abroad. 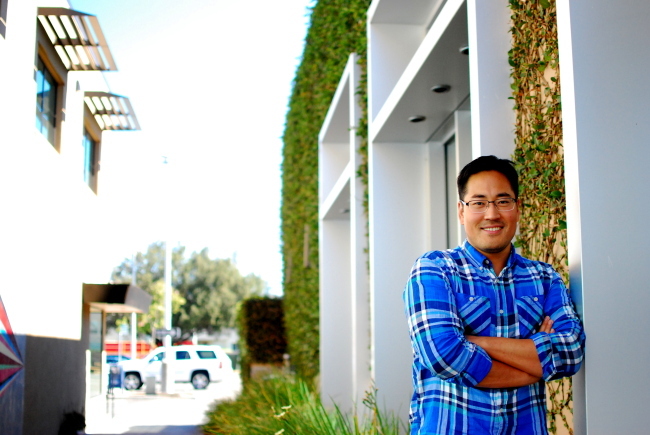 Kim, who oversaw mobile content at Samsung, Google and his own Korean blog service TNC, launched English-language webtoon platform Tapastic in 2012 in Silicon Valley with the belief that content for global audiences needs to be made by global creators, and webtoons are the way forward for content in the digital era. While Japanese webtoon portals Line Webtoon and Comico are gaining footholds on their home turf and in Southeast Asia, major content markets like the U.S. and Europe are still untapped. Tapas estimates that the global webtoon market will be 26 times bigger than Korea’s. The platform has already amassed over 9,000 publishers, and over half its viewership comes from North America with just 4 percent from Korea. Now, backed by funding from Kakao and SK Planet in Korea and 500 Startups and Strong Ventures in the U.S., it is preparing to launch its long-awaited freemium platform, to be reborn simply as “Tapas” early next year. It will apply the micropayments model, where users pay as they progress through stages, which led to huge success for games “Candy Crush,” “Clash of Clans” and “Angry Birds.” Comics will be cut into microchapters, offering free teaser sections to entice the reader to pay for the rest. Tapas, which vows to split revenue equally with content creators, will follow the path paved by KakaoPage -- which reportedly earns it daily revenue of around $200,000 -- with many of the same features such as unlocking free content by inviting friends, sweepstakes and wait-or-pay, wherein a user must wait a few days before reading. And having partnered with Daum, which is now Kakao, Tapas has room to globally complement KakaoPage’s Korea-only services, he added. Kim acknowledges that this bid is not without its risks. “I think bringing a proven model from Korea and launching it globally naturally has a chance to fail,” he said, citing Cyworld’s failure to expand to the U.S. in the past. Although Tapas was inspired by the Korean model, the team’s localization ability will be the key factor for successful execution, he added. He decided to launch in Silicon Valley to have that global perspective, but he does not believe it is impossible for local start-ups to break out of Korea. For Korean start-ups aiming globally, even those that built a successful model back home, he said the biggest hurdle is finding a team who will truly believe in the company’s vision. Until traction and revenue prove success, there is no silver bullet, he added. “Till that comes around, the only thing you have is your vision,” he said. For more information, visit tapastic.com. Start-up Seoul is a series featuring players in Korea’s emerging tech start-up scene. This is the 15th installment. ― Ed.